What’s the purpose of the CWC? We all know what it’s like to sit down and study a thick, kind-of-boring vocabulary book. The CWC wants you to enrich your vocabulary—but have fun while you’re doing it. 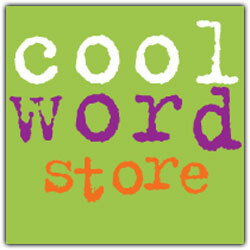 The CWC blog is an online forum to learn (and appreciate) cool new words. You can post your own blog entries if you have something to say about the words we’re discussing…enter contests…and nominate your own favorite words. Because the CWC also believes that kids have a lot to say and need a place to express it, we sometimes pose general questions for discussion that are often related to current events. Over time, you’ll be amazed at what you’ve learned—and how cool it is to be smart! What will I get if I sign up to join? Each week, we’ll email you three fun blog entries about cool words. It just so happens that a lot of these words are ones that you’ll need to know to ace the SATs and get into the college of your dreams. And, who knows, these words may even help you live a longer, happier life! Absolutely not! All these great words are here just waiting for you. Come and get ‘em, you logophiles! Will my sign-in information be kept private? Yes. No one beyond our staff—and we do mean no one!—will have access to your email address or any of the other personal information that you input in order to join the CWC. We strictly adhere to the Children’s Online Privacy Protection Act, so anyone age 13 must have parental consent to sign up for the CWC. Does anyone monitor the blog comments to ensure that nothing inappropriate gets posted? You bet we do! The Internet is an unbelievably rich and vital resource for students, but we know that some people abuse it by trying to post off-topic or inappropriate comments. That won’t happen at the CWC—we promise! What do students like about the CWC? It all boils down to just two words: It’s fun! Sure, students come away with better vocabularies and a great sense of accomplishment for all that they have learned. But more than anything else, they enjoy the fact that they can get smarter just by “hanging out” with other students online. Do teachers encourage their students to participate in the CWC? Oh, yes! Teachers love to see their students learn—especially if they can have fun while doing it. That’s why the CWC is such a popular destination for college-bound students of any age. Teachers who work with the CWC even review the content before it goes “live” to help ensure that the material will be meaningful and engaging for students. What do parents think of the CWC?